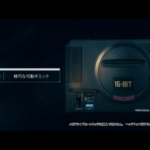 The long awaited mini version of SEGA’s 16-bit console has finally been officially revealed at tonight’s SEGA FES 2019. 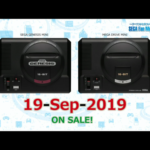 The mini console will launch worldwide later this year on September 19, and will feature 40 games, including Sonic the Hedgehog 2. As we reported earlier this year, SEGA only wanted one game per series on the console, and ran a poll to decide whether Sonic 1 or 2 would be included. Don’t expect anymore Sonic games to be announced later. The console is powered by a mini USB cable, and has the power/reset buttons in the same places as the original console, and even features a replica (though definitely non-functional) cartridge slot you can stick your finger in! 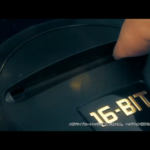 The console will come in two different SKUs: a one-controller 6980 yen unit and a two controller 8980 yen unit. Though no western prices were shown, that translates to $62.95/£48.28 and $80.99/£62.11 respectively. 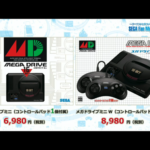 UPDATE: It has been confirmed that M2 is developing the Mega Drive Mini’s software. 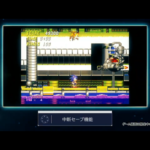 M2 is the same company that worked on the the SEGA 3D Classics for 3DS and is currently working on the SEGA AGES line of games for Nintendo Switch. Sega’s Japanese fan event Sega Fes is set to begin this weekend and out of nowhere the US and EU Sega twitter accounts just tweeted the following. Whilst this could be anything Sega related, we here at TSS have noticed a number of Japanese Social Media accounts have also been tweeting hints at Sonic themed announcements for various consumer goods all day. This does not outright confirm that the announcement is specifically for a Sonic related item, but it does certainly suggest it might be or that Sega Fes will have a number of Sonic related announcements at the event. Furthermore, for both Sega of America and Sega Europe to tweet about this, it would have to be something major that affects the global Sega Brand. Which would suggest it’s either Sonic or Yakuza. We’ll update this with details of said announcement and live-stream links as we get them.